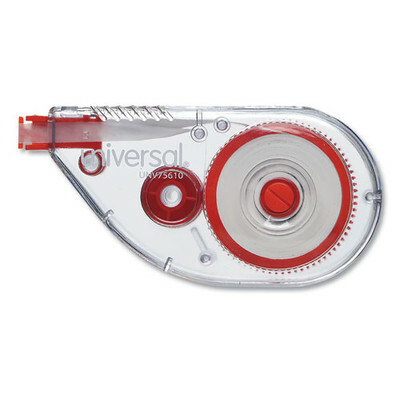 Correction tape features an applicator tip that goes left or right to make whole word or single-letter corrections. Flexible head smoothly applies tape. Tear-resistant. Line Coverage: 1; Tape Width: 1/5 inch; Tape Length: 393 inches; Case Color(s): Transparent/Red.